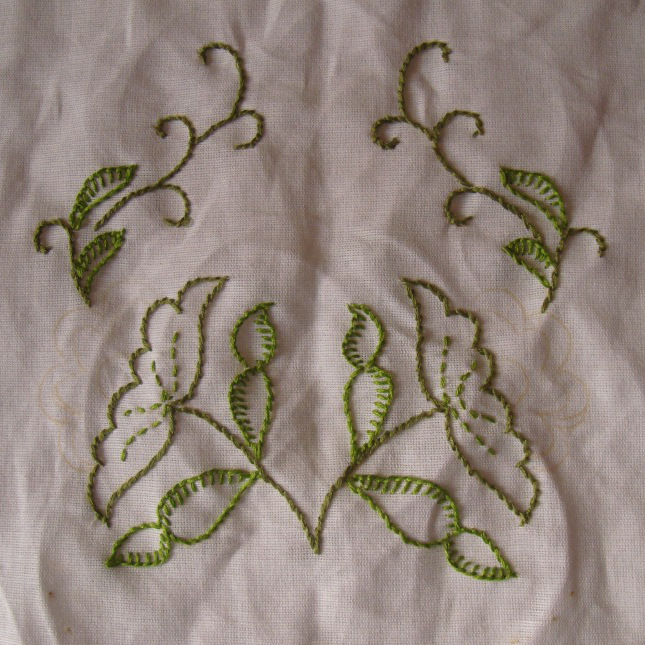 The embroidery is started in green cotton skein. The stitches are- stem, buttonhole, and back. 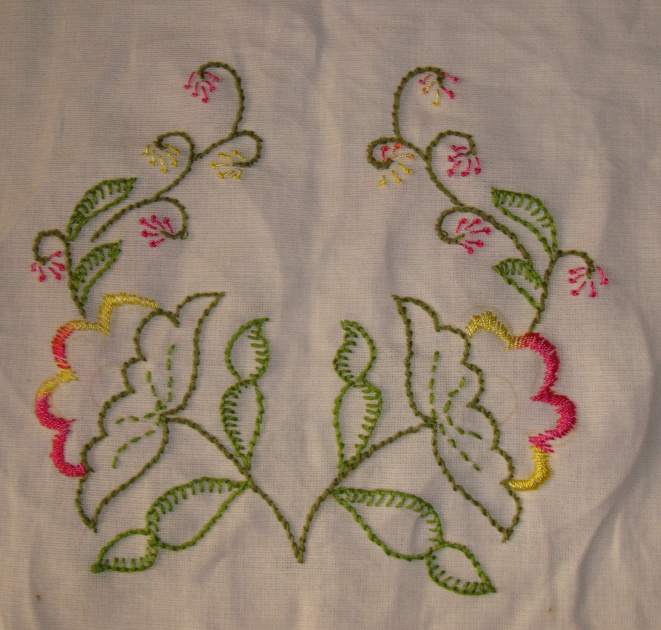 Satin and pistil stitches are worked with polyester thread. 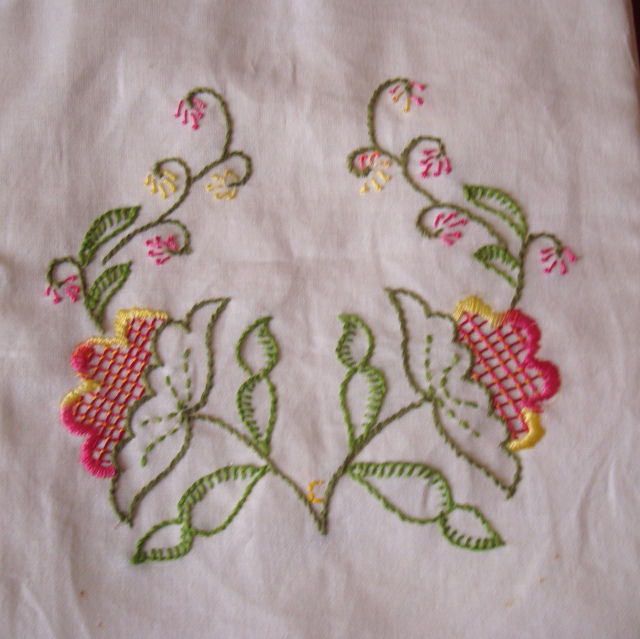 Some lattice work is tried inside the flowers in dark pink tied down with yellow cotton skeins. 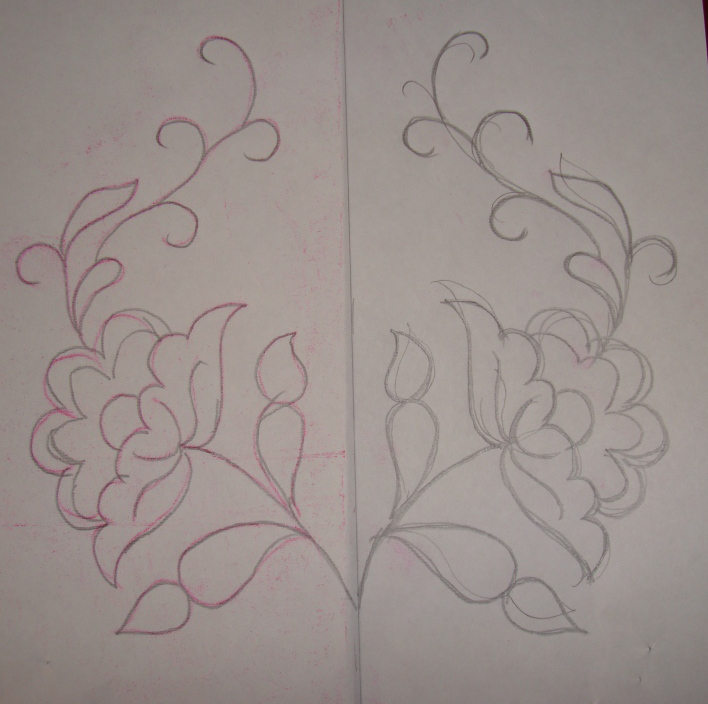 These bags are ideal for these small exercises in embroidery stitches. Working on small projects are motivating too.